It’s Women’s History Month and this is my second instalment of Wonderful Western District Women. As in Part 1, I share the stories of five women I’ve been taken with while writing Passing of the Pioneers over the past five years. In this post, all five women were in business in some capacity. One was also a teacher. All are very similar in the level of perseverance and determination they displayed, but each led very different lives. For example, two never married with one shunning the company of others and the other drawing people to her. As noted in one of their obituaries, they are “those splendid women, whose unselfish, unwearying zeal helped to make the Victoria of today”. Click on the underlined text for more information about a subject. DONNELLY, Jane (c1834-1914) Also known as Jane Walsh and Jane Jenkins. Jane Donnelly was born in Ireland around 1834 and arrived in Victoria in the early 1860s. 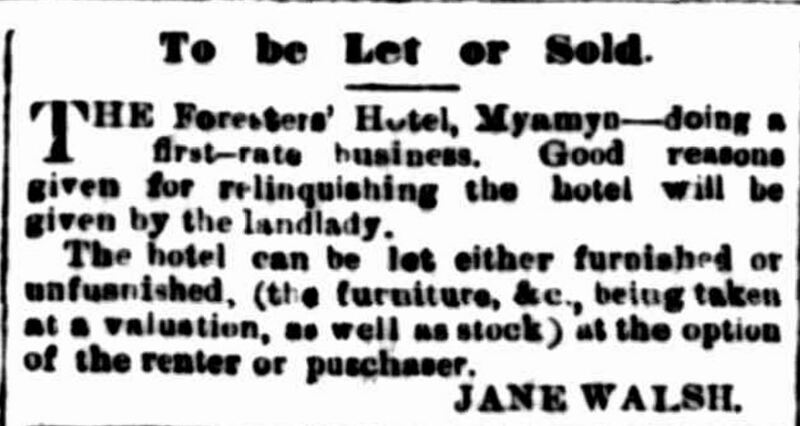 She married William Walsh in 1865 and together they operated the Forester’s Hotel at Myamyn. Jane and William had three children before William died in 1877 aged forty-nine. It was the same year a fourth child was born. Jane continued to run the hotel although she did try to sell it. 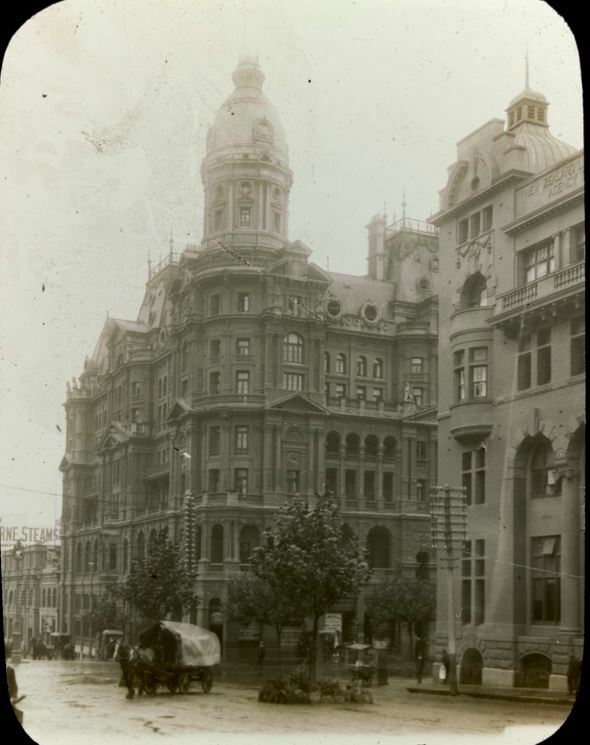 In 1881, the hotel was badly damaged by fire leading to Jane’s insolvency in 1881 with debts of £145. “Advertising” Portland Guardian (Vic. : 1876 – 1953) 24 April 1880: 3 (MORNINGS.). 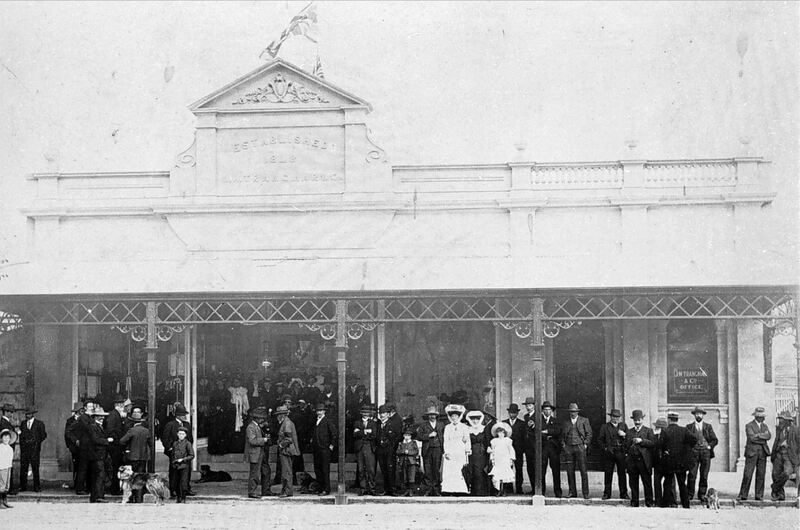 In 1883, Jane married William Gordon Jenkins and they went to Portland to run the Victoria Hotel. The building was dilapidated and they were soon closed down. That appears to have been the end of Jane’s days in the hotel trade. In their later years, Jane and William moved to Hawkesdale to live with Jane’s daughter. Jane died at Hawkesdale in 1916 aged eighty. William died the following year. STEWART, Christina (1825-1921) Also known as Christina McPherson. 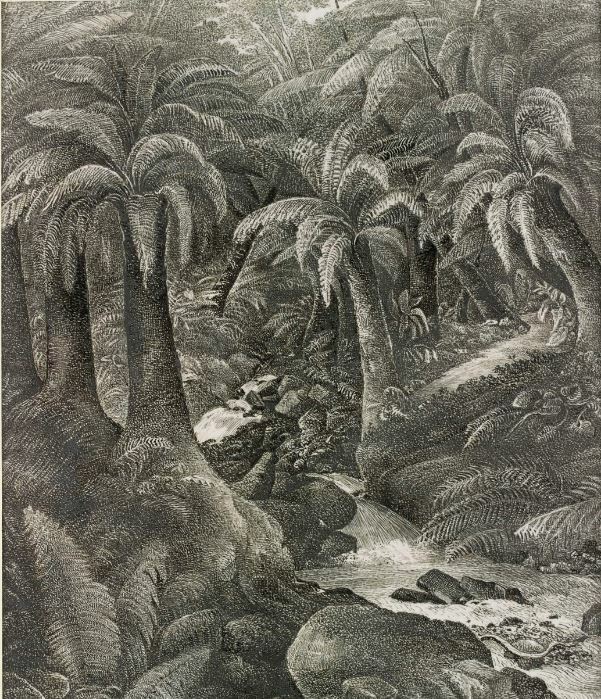 Christina Stewart was born at Kingussie, Scotland around 1825 and travelled with her husband, Duncan McPherson, to Australia in November 1851 on board the Hooghly. 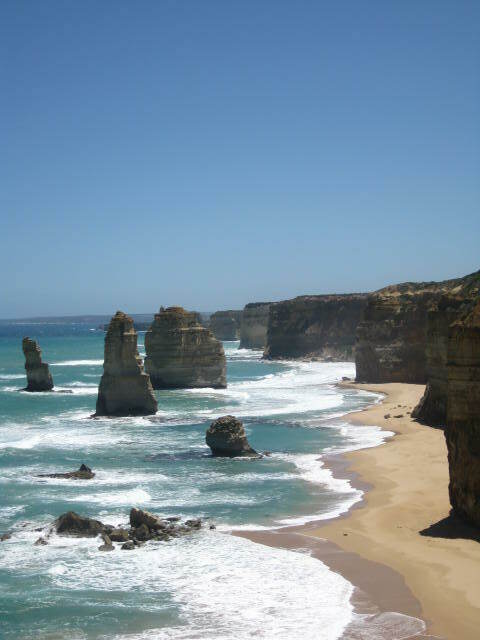 While Duncan went off to the goldfields, Christina waited in Melbourne until they journeyed to Portland and then on to Strathdownie. 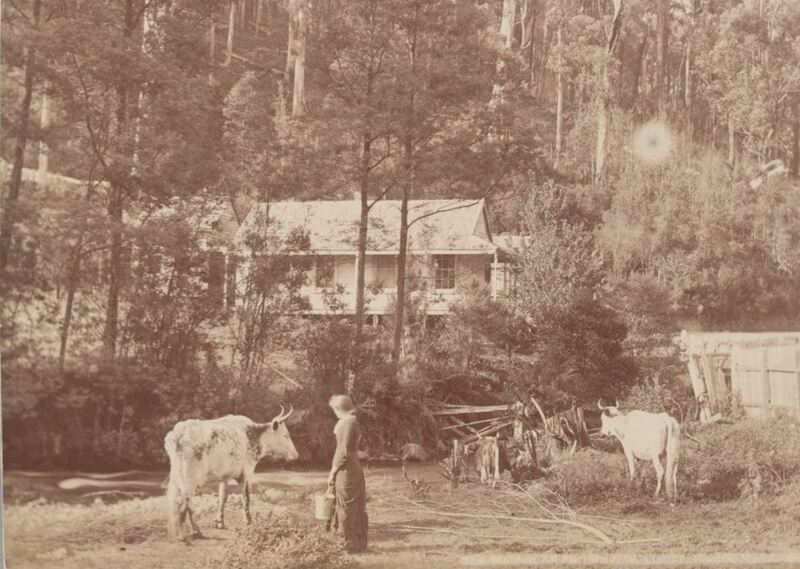 In March 1857, Duncan purchased the Woodford Inn located just north of Dartmoor on the Glenelg River and a son Alexander was born in the same year. The inn was a busy place as it was at a crossing point on the river with a punt moored at the inn for that purpose. Christina had eight children and during her child-bearing years, rarely saw another white woman. She made friends with the local Aboriginal women, teaching them to make damper. If she had guests staying at the inn, the Aboriginals caught crayfish in the river for her. The McPhersons eventually moved to Hamilton, residing in Coleraine Road. Christina died there in 1921 aged ninety-six. 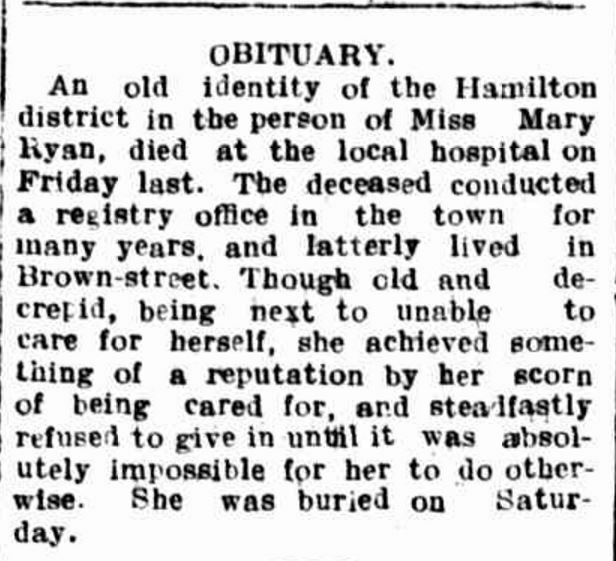 When I wrote about Mary Ryan for Passing of the Pioneers, there was little known about her other than she ran a servants’ registry office in Hamilton and she died ten months after a fire burnt down her home. I also gathered from her short obituary, she was very independent. Mary never married and living a seemingly solitary life, save for the interactions through her business. When Mary died there was no-one to give the names of her parents, so her death record shows her parents as “unknown”. 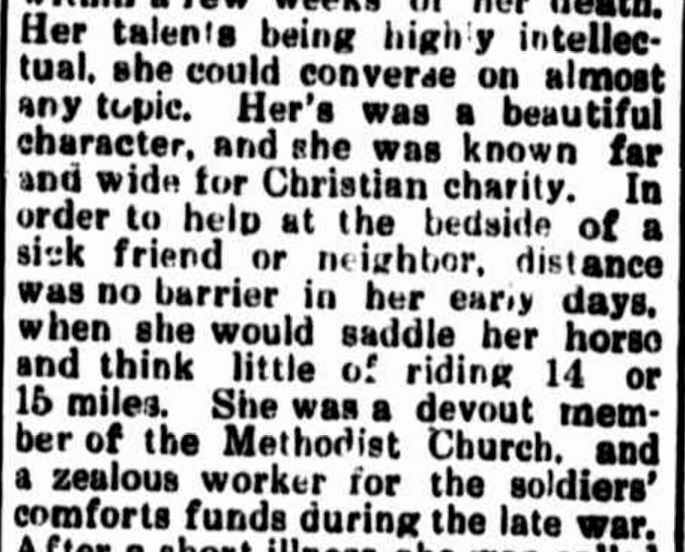 Since her Passing of the Pioneers appearance, more Hamilton Spectators have become available at Trove and I’ve been able to find out a little more about Mary. 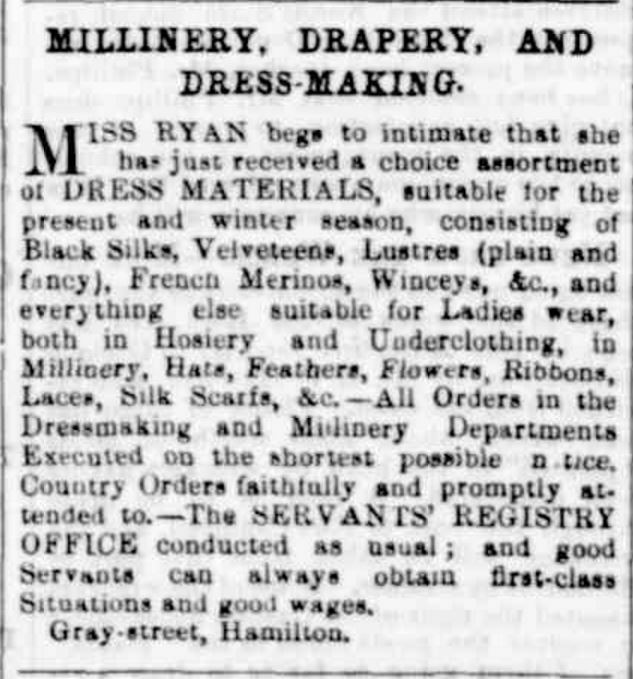 The earliest newspaper reference I could find of Mary Ryan in Hamilton was in 1864 when she advertised her dressmaking services in the Hamilton Spectator and Grange District Advertiser. Her advertisement said she was “late of South Yarra” and she was operating from Thompson Street. Other women in Hamilton including a Mrs Owens were combining dressmaking with servant registry businesses so it was a natural progression for Mary to do the same. 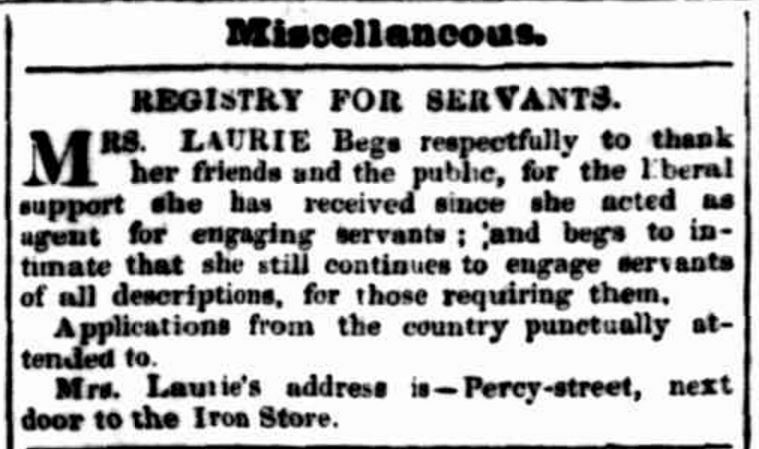 She began advertising both services in 1867 from a shop in Gray Street. In September 1870, fire swept through several shops in Gray Street, destroying Mary’s shop. The report in the Hamilton Spectator said the occupants were able to get their valuables out. 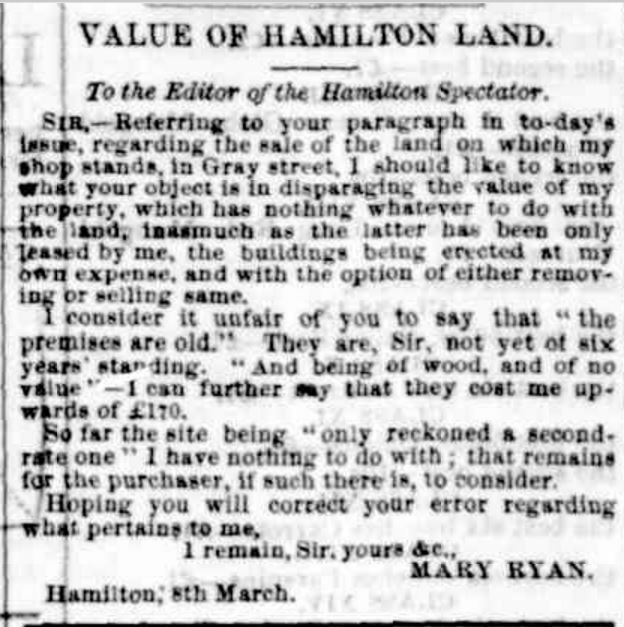 Mary appears to have rebuilt and on 8 March 1877 the land where her shop stood was sold, the Hamilton Spectator published the results of the sale. “Items of News.” Hamilton Spectator (Vic. : 1870 – 1918) 8 March 1877: http://nla.gov.au/nla.news-article226045698 . Mary responded in the next edition. “VALUE OF HAMILTON LAND.” Hamilton Spectator (Vic. : 1870 – 1918) 10 March 1877: <http://nla.gov.au/nla.news-article226042386&gt;. Mary expanded into millinery and drapery. 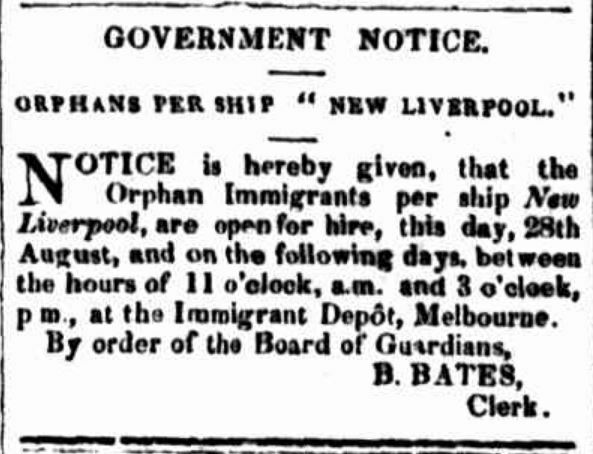 Only days after Mary placed this advertisement, she sold her shop on 13 July 1878, by auction but I wasn’t able to find a report of the sale in the paper. “Advertising” Hamilton Spectator (Vic. : 1870 – 1918) 2 July 1878: <http://nla.gov.au/nla.news-article226069431&gt;. Two years later, an incident highlighted the potential dangers for a woman living alone. “HAMILTON POLICE COURT.” Hamilton Spectator (Vic. : 1870 – 1918) 5 August 1880: <http://nla.gov.au/nla.news-article225488525&gt;. That wasn’t the only such incident. 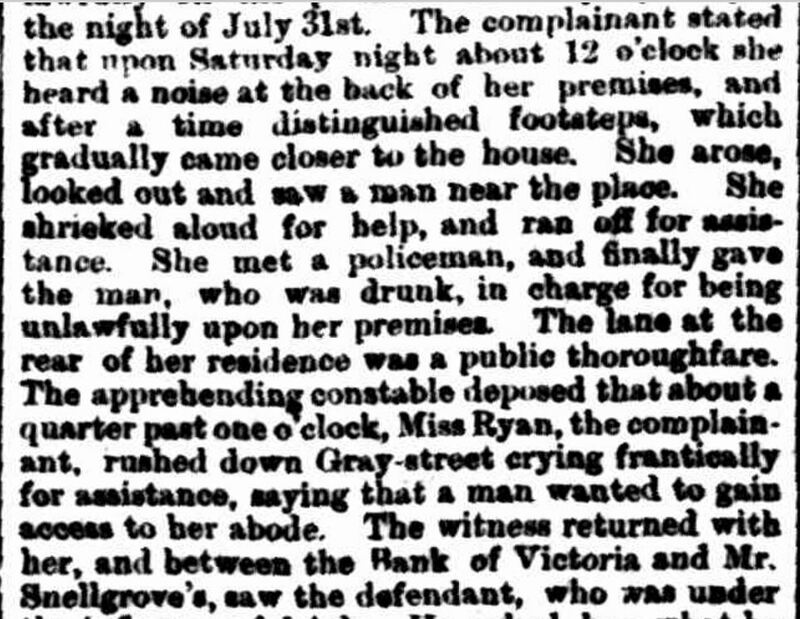 In October 1888, some local “larrikins” were in court charged with “rocking” Mary’s roof in Gray Street. They also verbally abused her, calling her by name, well aware of who she was. In her evidence, Mary stated her residence was opposite the Hamilton Mechanics Institute. In 1895, Mary moved her business to Cox Street and by 1905, she had moved to Brown Street near the Hamilton Railway Station. On 2 November 1910, Mary suffered another blow when fire swept through her shop and residence. Built of pine, the shop burnt quickly and only a small box of valuables was saved. Fortunately, Mary was away from home at the time. Mary remained stubbornly independent in old age despite becoming very frail. She stayed in her home, but besides the hospital, it seems she really had nowhere else to go. 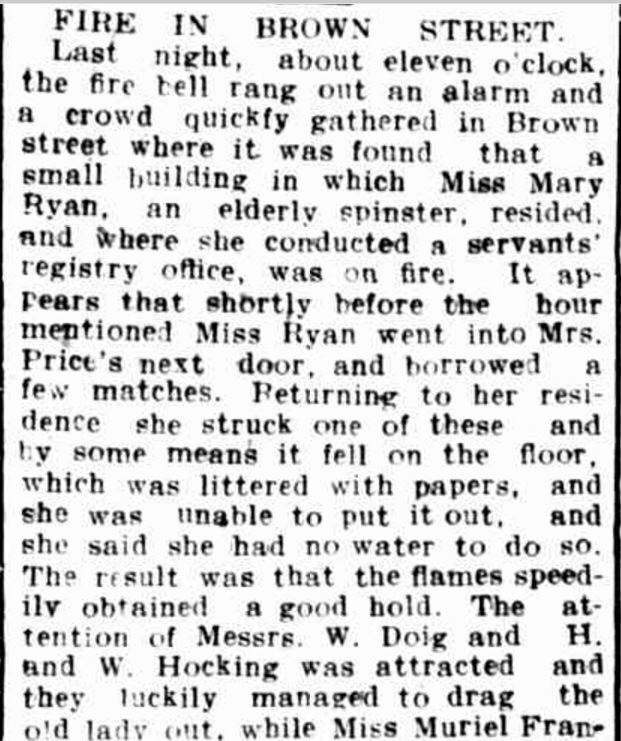 In February 1914, a fire broke out in her home, accidentally started when Mary dropped a lit match on some papers on the floor. 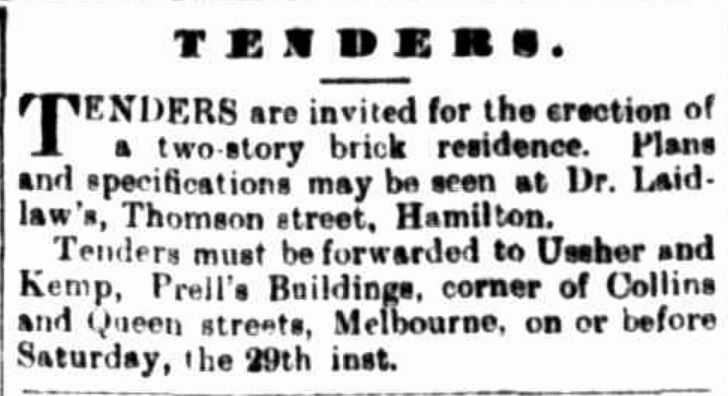 “FIRE IN BROWN STREET.” Hamilton Spectator (Vic. : 1870 – 1918) 20 February 1914: <http://nla.gov.au/nla.news-article119823533&gt;. While she wasn’t injured in the fire, it may have taken a toll as she passed away eight months later. Her age was given as eighty. “Hamilton Spectator” Hamilton Spectator (Vic. : 1870 – 1918) 15 December 1914: <http://nla.gov.au/nla.news-article119874336&gt;. 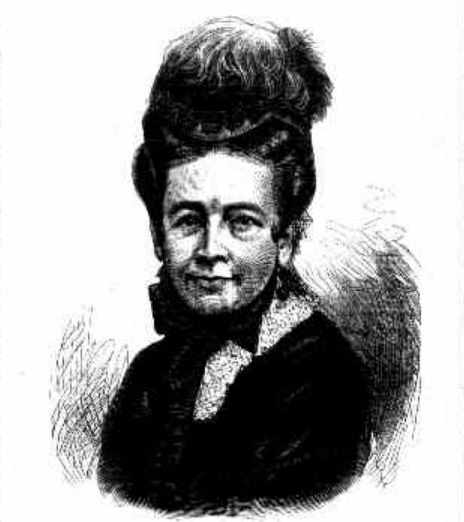 Susan Sloan was born in Glasgow, Scotland and after arriving in Portland in 1855, she went to Ararat where she married Thomas Sloan the following year. Thomas ran a soda water manufacturing factory. 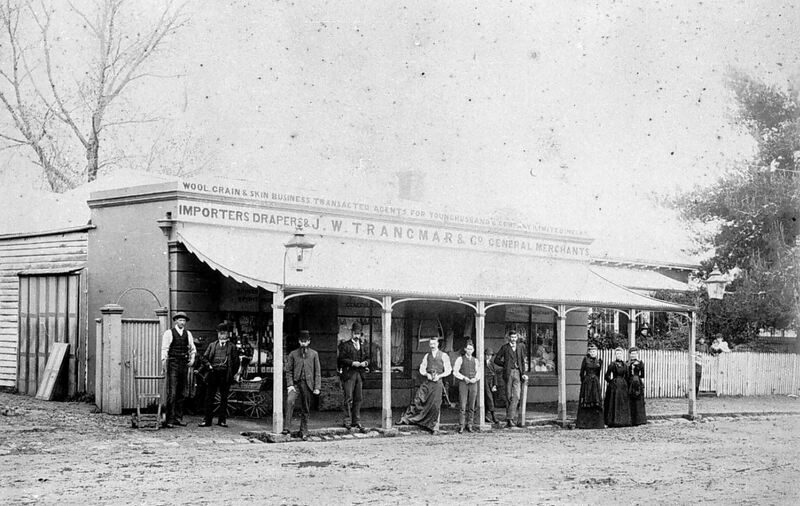 In 1867, Susan returned to Portland with Thomas and they built the White Horse Brewery and a bakery in Gawler Street. Trade was tough and they moved inland in 1873 to Hamilton where they saw greater opportunities. Thomas purchased the North Hamilton Brewery from his brothers James and Robert. In 1882, Thomas had a timber building constructed in Cox Street for a cordial factory. 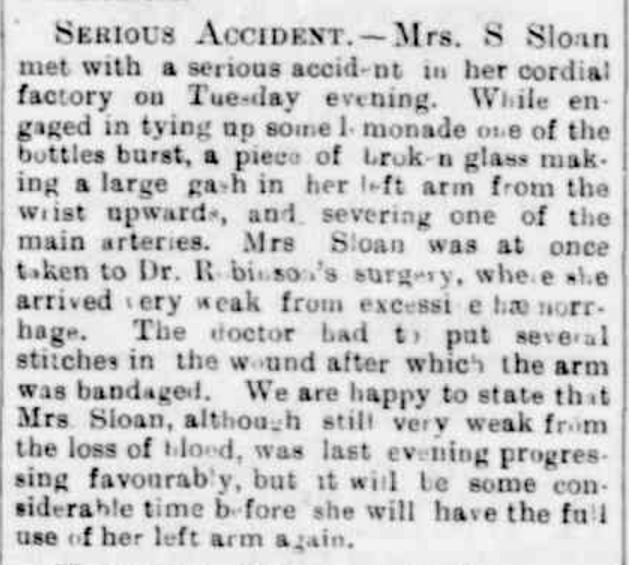 Grace Sloan, a daughter of Susan and Thomas suffered consumption since 1893, and on doctor’s advice, she left Hamilton for a drier climate with friends in N.S.W. She departed on her journey but only reached Melbourne before her conditioned worsened and she telegraphed Susan to go to Melbourne. Grace improved so Susan returned home. 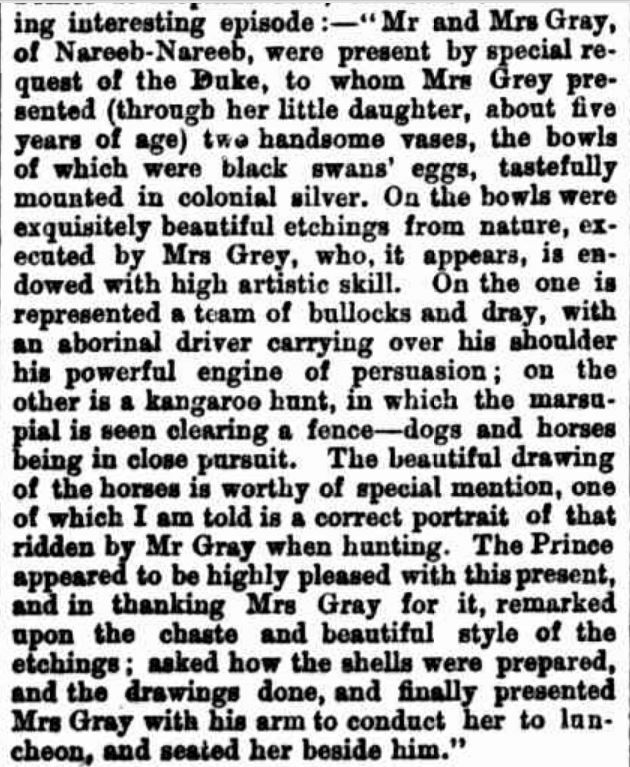 A week or so later, Susan heard Grace had died in a Melbourne Hospital on 20 July 1895 aged twenty-one. 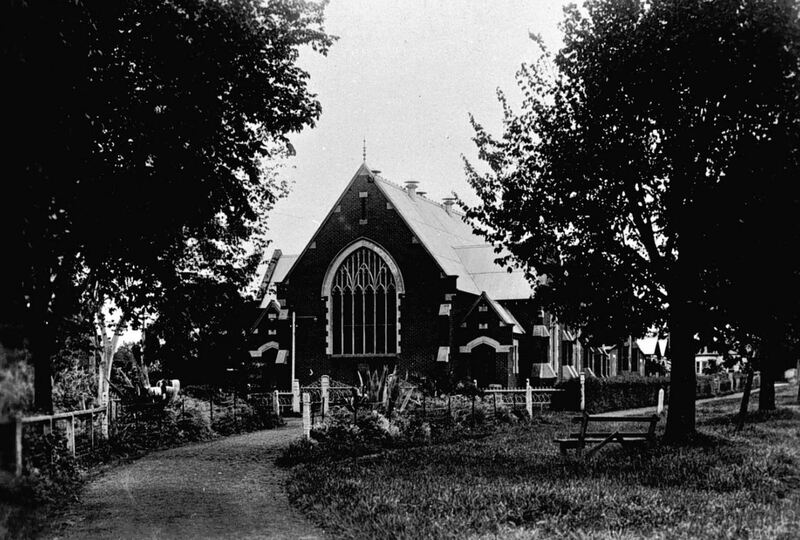 A memorial service was held at Hamilton’s Christ Church, where Grace had sung with the choir. The following year Susan had a close call herself. “Items of News.” Hamilton Spectator (Vic. : 1870 – 1918) 12 March 1896: 2. Web. 10 Mar 2017 <http://nla.gov.au/nla.news-article225868558&gt;. 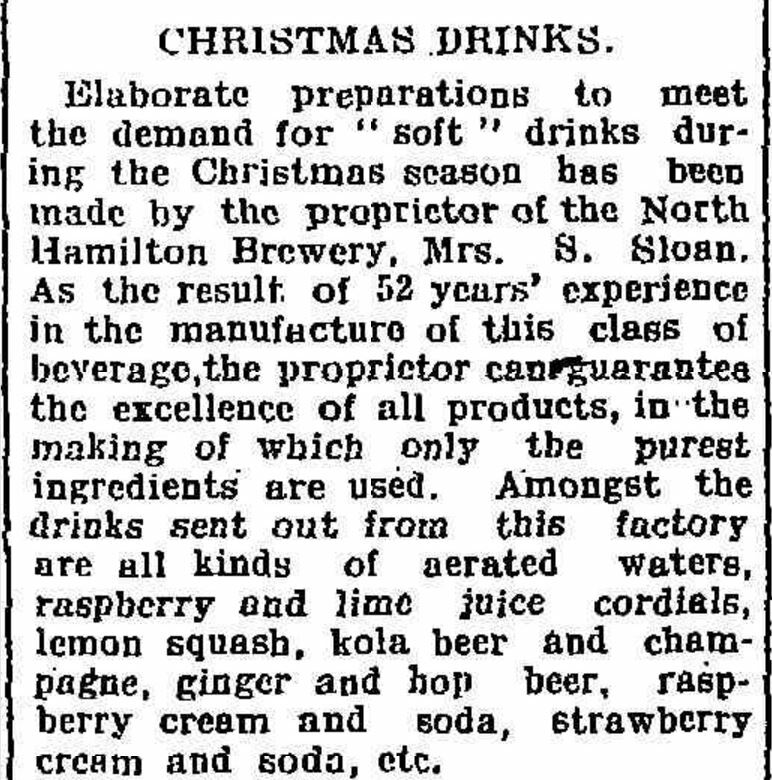 In 1903, the Hamilton Spectator reported Susan had sold the North Hamilton Brewery to Mr J.B.Webb. 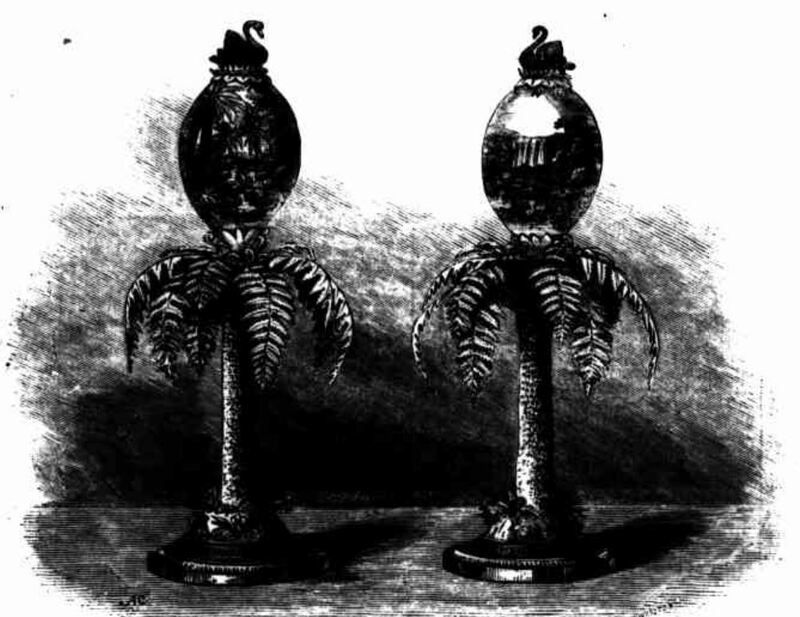 He didn’t do much with it and in 1904, the Sloans revitalised it with new equipment. They did the same at the cordial factory where they could produce up to sixty dozen bottles per hour. Susan advertised prior to Christmas 1908, citing her fifty-two years in the business. “CHRISTMAS DRINKS.” Hamilton Spectator (Vic. : 1870 – 1918) 17 December 1908: 4. Web. 10 Mar 2017 <http://nla.gov.au/nla.news-article225895607&gt;. Thomas died in May 1910 and Susan continued to run the business until her death, after which time family members continued operations. The Sloan’s cottage Whinhill in Pope Street, Hamilton still stands today. 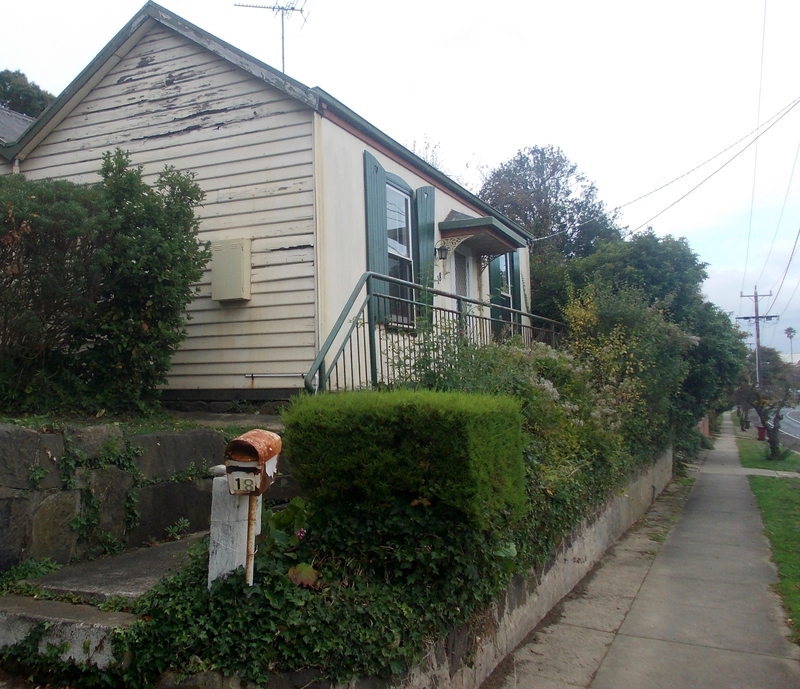 “WHINHILL” – THE FORMER COTTAGE OF THE SLOAN FAMILY, POPE STREET, HAMILTON. 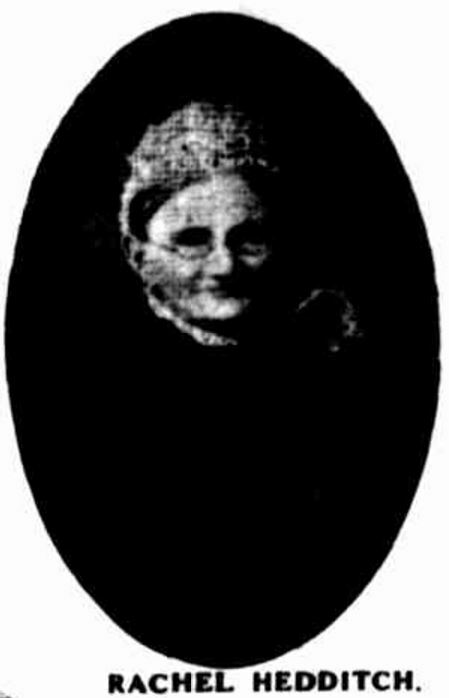 Sarah Wadmore was the youngest daughter of Cape Bridgewater pioneers James Wadmore and Mary Driscoll. She was born in 1859 and only a month after her birth, James Wadmore drowned after he was washed off rocks while fishing on the west coast of Cape Bridgewater. By the age of fifteen, Sarah was helping her brothers on their mother’s farm. Mr and Mrs Joseph Voysey from the local state school saw something special in her and offered to train Sarah as a teacher. In 1880, Sarah became head teacher at the new Kentbruck school. 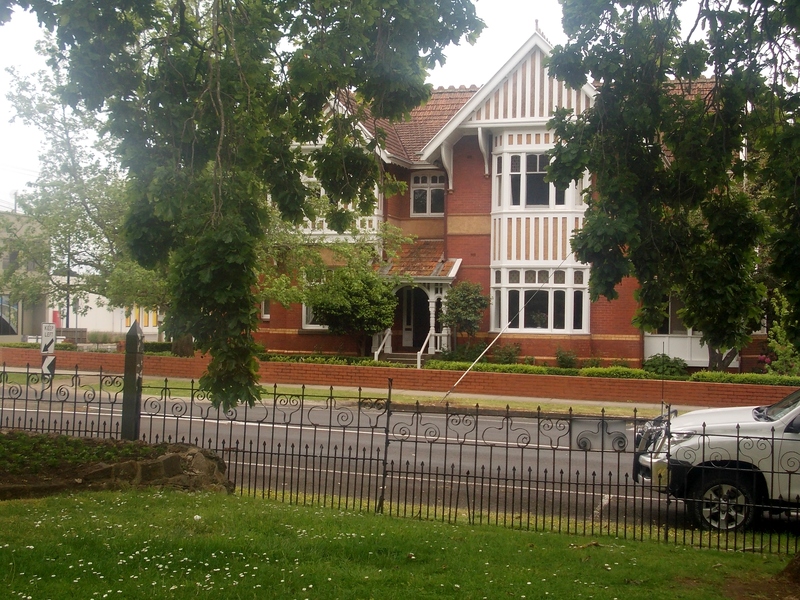 Prior to that she was living at Bacchus Marsh and teaching at the school of Mr and Mrs Voysey. From Kentbruck, Sarah was headteacher at the Tahara State School for twelve years, her last teaching appointment. 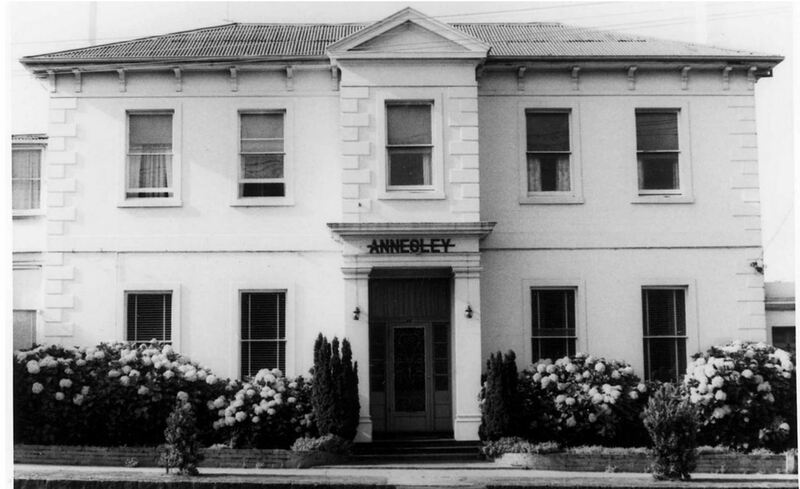 In 1905, Sarah and her sister Anne moved to Annesley in Julia Street, Portland to operate a private boarding house. 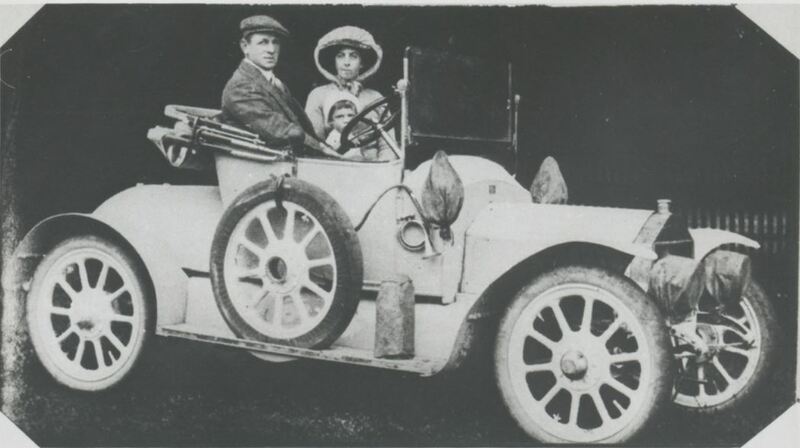 One of their first “guests” at Annesley was Rosalie Brewer, the only child of the previous owner, Dr Brewer. 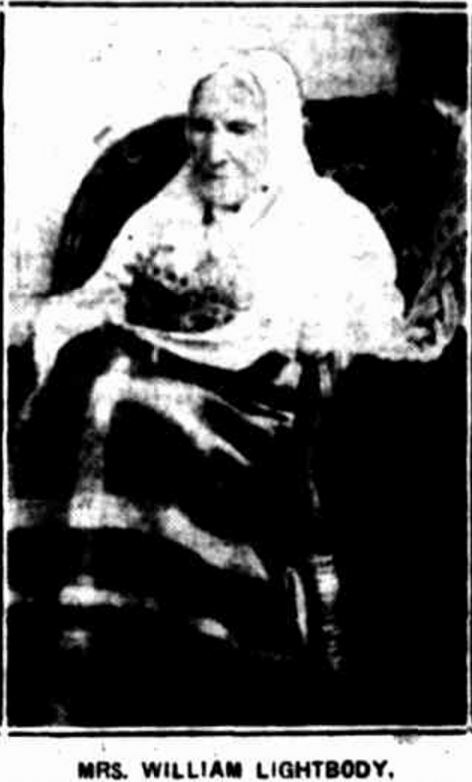 Rosalie was confined to bed at Annesley for over twenty years until her death on 2 March 1926 at the age of fifty-seven. Sarah, then sixty-seven, along with her sister, gave Rosalie the love and care a mother would, nursing her through those years. 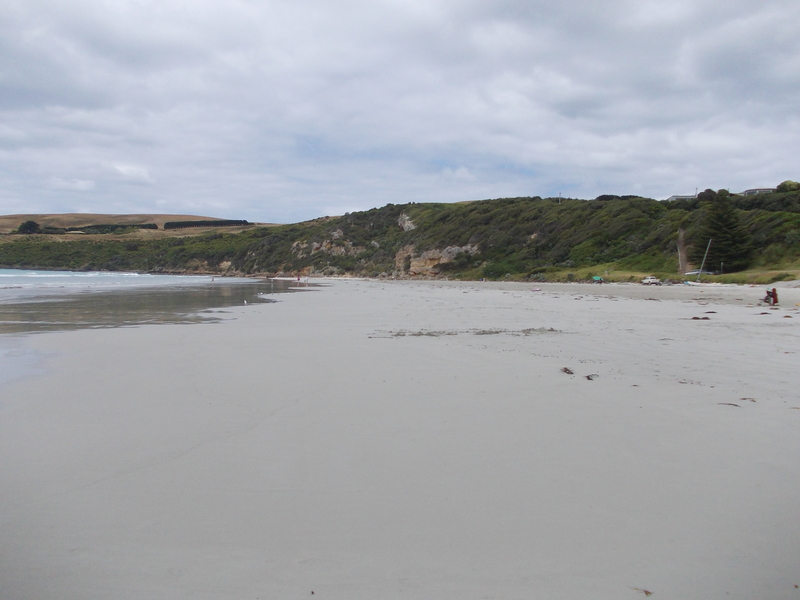 Sarah’s mother Mary also moved into Annesley from her home at Cape Bridgewater and she died there in 1908. “OBITUARY” Portland Guardian (Vic. : 1876 – 1953) 6 January 1941: 1 (EVENING). Web. 15 Mar 2017 <http://nla.gov.au/nla.news-article64398666&gt;. Sarah had a busy life. 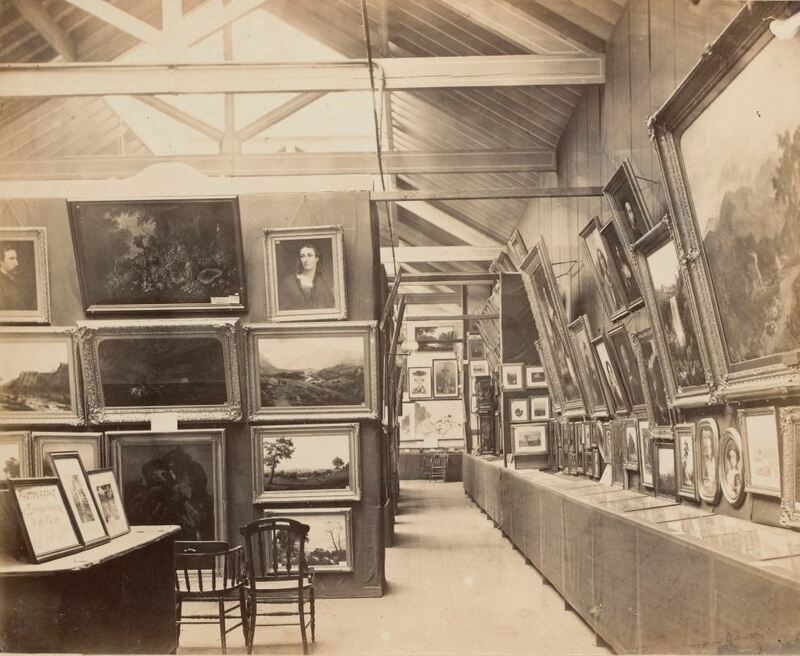 Many fundraisers, Pioneer Women’s Association meetings and even art exhibitions were held at Annesley. At one stage, she travelled to England visiting Sussex the birthplace of the Henty brothers. She was interested in the Scout movement and donated a flag to the Portland Scouts. 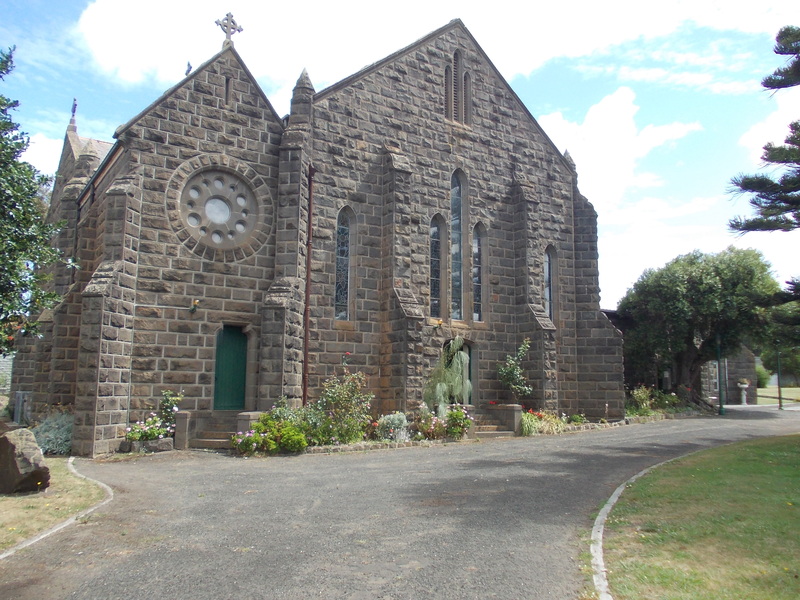 Sarah was also active in the St Stephens Anglican Church community and the church was conveniently located across the road from her home. 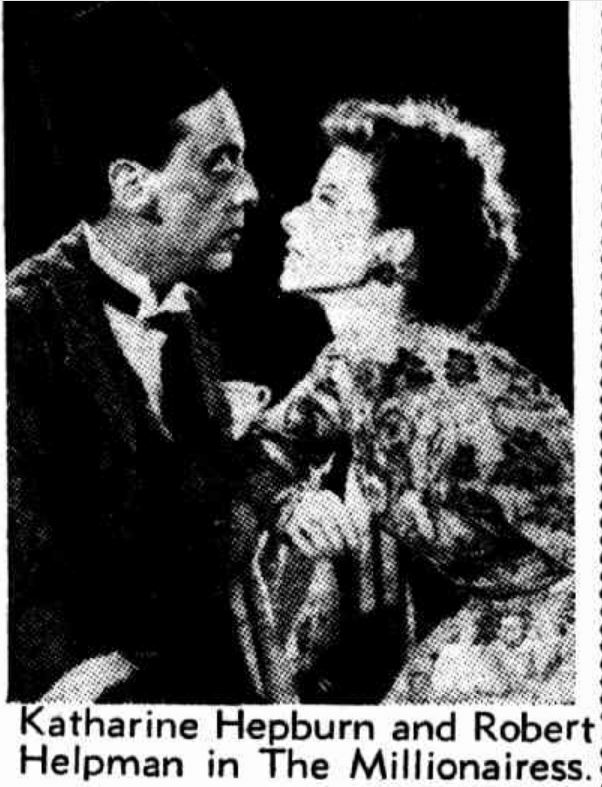 A wonderful life closed on New Year’s Day 1941 when Sarah died at Annesley at the age of aged eighty-one. 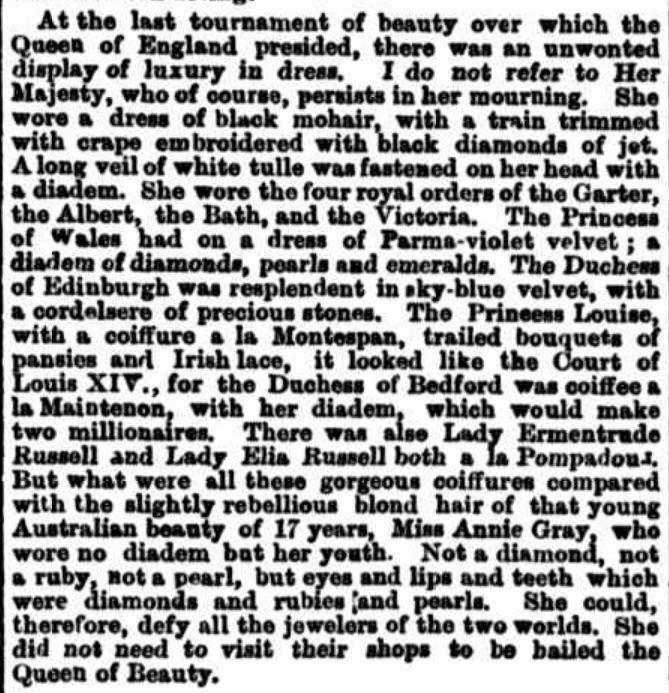 Sarah’s obituary closed with, “It may be truly said of Miss Wadmore that she shares largely in the honour of those splendid women, whose unselfish, unwearying zeal helped to make the Victoria of today”. On International Women’s Day this is for the women of the Western District. The women who arrived in a new country, often as newlyweds with no other family, those who walked behind a plough planting seed, those who didn’t see their husbands from dawn to dusk or weeks at a time and the women who gave birth in a tent or shack sometimes without another woman present. It’s for the benevolent women, the pillars of the church, the businesswomen, the matriarchs, and in many cases their husband’s rock. It’s for those women who lost their husbands young, and were left to raise children and survive in a man’s world. For many of these women, their lives went by unheralded. As it’s also Women’s History Month, this is the first post during March remembering some of the great pioneering women of the Western District. Firstly I will focus on those I’ve discovered through monthly Passing of the Pioneers posts. For many of those women, I’ve had to draw on their husband’s life story to get some idea of their own. For others we are lucky as something of their lives still remain, maybe a letter or a diary and we glean some idea of who they really were. Even in their obituaries, women were mostly known by their husband’s name, for example, Mrs John Little or Mrs James Berry. At least those who were given an obituary have something of them left behind, for others their lives passed silently and without celebration. Hopefully, the women I have selected to celebrate this month are representative of those women whose stories have been lost. Also, because most women lived behind the names of their husbands, I’ve chosen to remember the women by their maiden names. Click on the underlined text through the post to read more information about a subject. Janet was born in born in Lanarkshire, Scotland in 1822, the daughter of Professor Andrew Nicol a linguist, university lecturer and head of a boys’ college. Janet, one of eight daughters, attended boarding school and like her father could speak several languages. 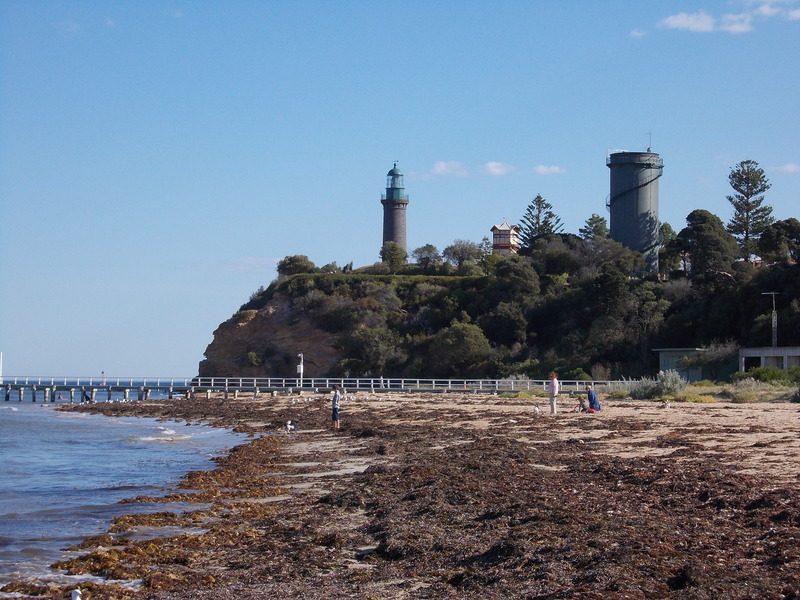 In 1841, she married the Reverend Alexander Laurie and shortly after they sailed to Port Phillip aboard the appropriately named William Nicol, arriving in February 1842. Alexander was appointed the minister for the Portland Bay Presbyterian Church so they sailed for Portland Bay. On arrival at Portland, Janet was carried ashore and on the same day, she gave birth to her first child Alexander John Laurie. The Lauries couldn’t stay at any hotels because of quarantine restrictions so they camped under a shelter near the flour mill in the bitter cold, They soon settled in the town and another son Andrew was born the following year. The year 1848 was tumultuous for Janet. Alexander was accused of spending time in the company of a young lady, even travelling away with her. The church frowned on his behaviour and Alex was removed from his role, not because of the shame he brought to his wife and children, but the shame he brought to the church. 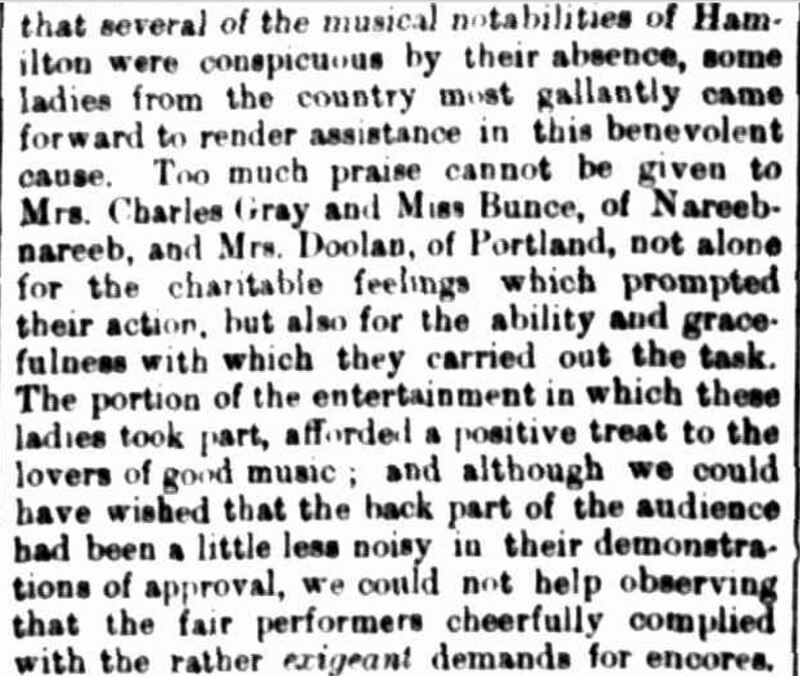 A report of his falling out appeared in the Geelong Advertiser of July 11, 1848. 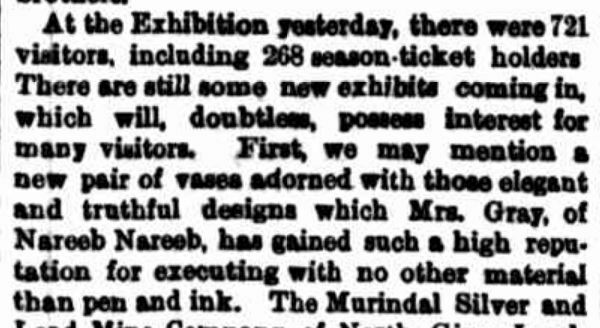 In 1850, Alexander started making the news in a different way when he took over the Portland Herald in Gawler Street. The Portland Guardian remarked,”Mr Laurie would have seemed to have abandoned the use of his church for the Herald and exchanged religion for politics”. In 1854, Alexander died at the age of thirty-six, leaving Janet with four young children. 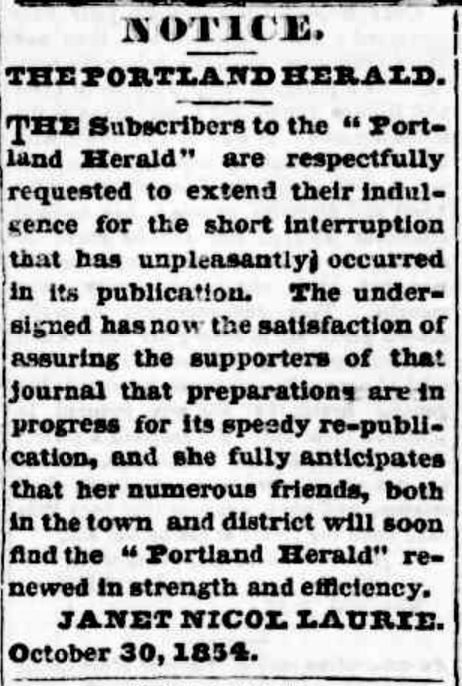 She took over the running of the Portland Herald and after a short break, resumed publication every Friday with a promise the paper would be “renewed in strength and efficiency” and before long the subscribers to the paper grew. Janet also set up an employment registry in 1856 operating it until 1861 from her home in Percy Street. 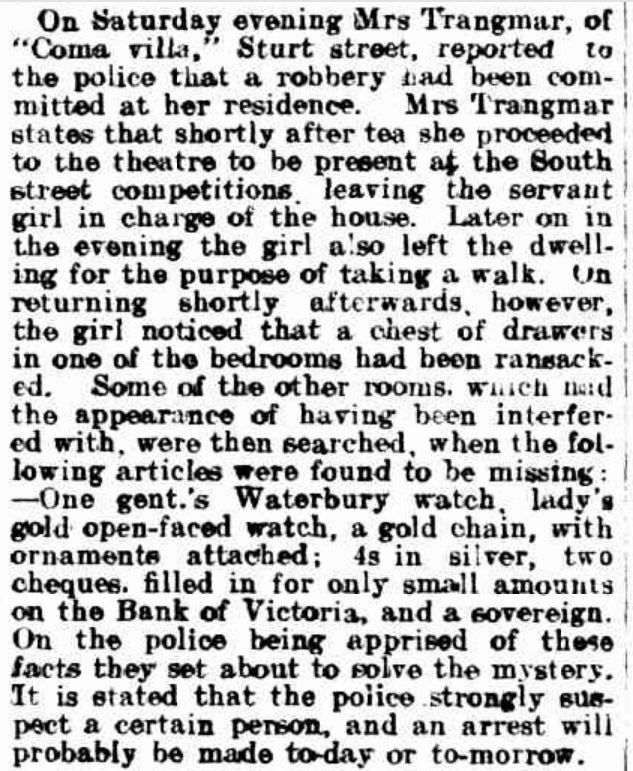 Janet finished up the Portland Herald in 1860 and she and the children went to Mount Gambier where she assisted two of her sons in setting up the Border Watch, a paper still published today. The paper was established in the name of second born son Andrew, then seventeen and the first edition published on April 26, 1861. The name for the paper came from Janet as there was a Border Watch newspaper on the border of Scotland and England. 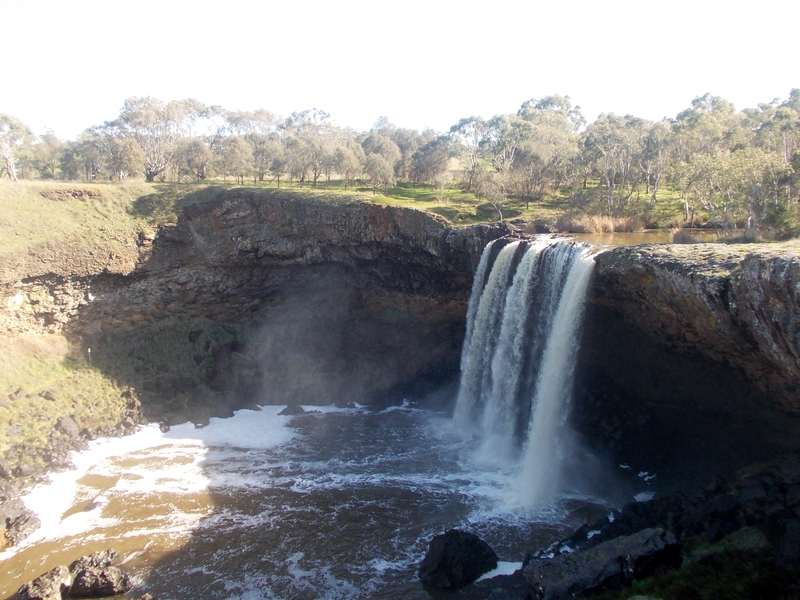 Given the close proximity of Mount Gambier to the South Australian/Victorian border, it was a perfect choice. In the same year, Janet married widower Joshua Black of Cork Hill, Bridgewater. Joshua was a father to seven children and Janet must have been busy helping her sons with the paper and the duties of matrimony. 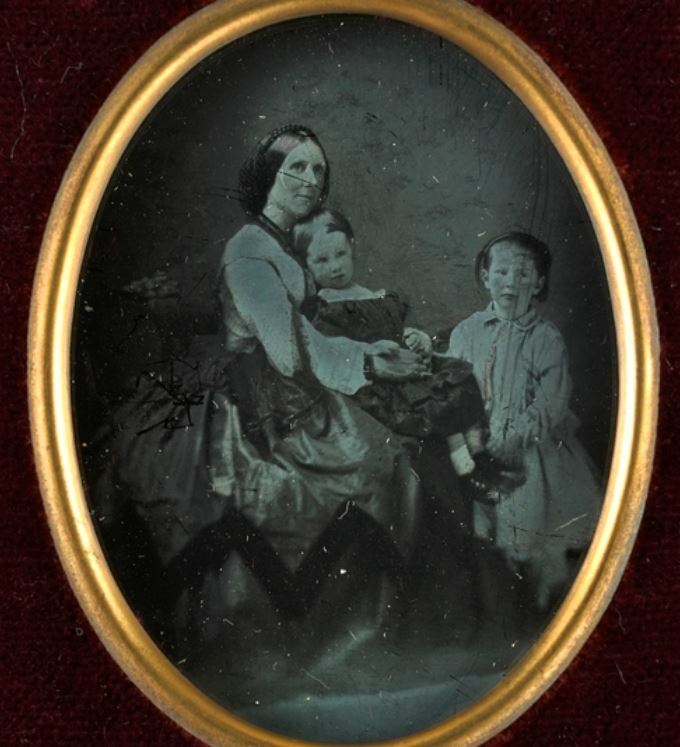 Janet and Joshua had three children together, the first in 1862 when Janet was forty. By 1865, there were fifteen children aged from twenty-two to newborn. Joshua Black died in 1876 aged seventy-six. Janet continued on at Bridgewater and was involved in the community. She died in 1903 aged eighty-one and was buried in the North Portland Cemetery in the same grave as Alexander Laurie. 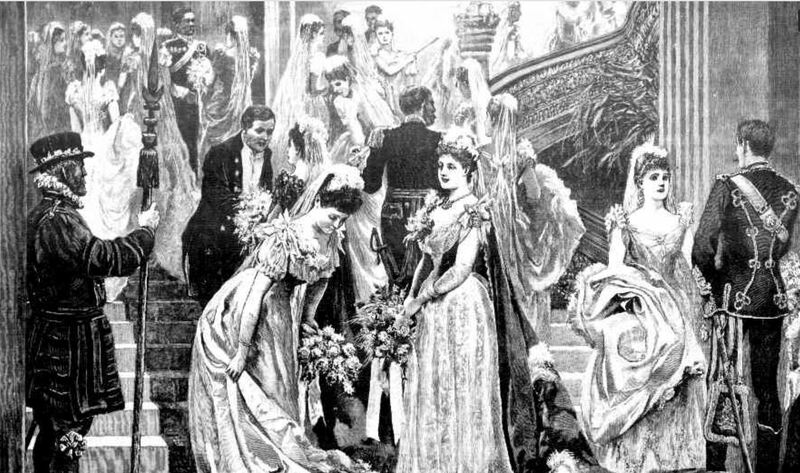 The Portland Guardian of 29 July 1903 reported that “the funeral procession was one of the largest, if not the largest seen in Portland.” Returning to Alexander in death was possibly something Janet would not have wanted. Her thirteen years with Alexander were not happy times. Aside from his adultery, it seems Janet also endured family violence. She was known throughout her life as having a hearing impairment, put down to the cold on her first night in Portland. 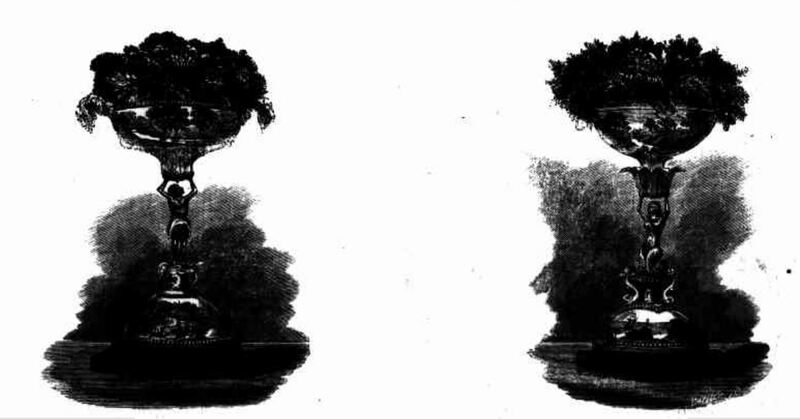 Ann Grant and others in a paper, “Portland – The truth, the whole truth and nothing but the truth”, tells of police records showing Janet had charged Alexander with assault and her deafness was in fact caused by a blow from him. COLE, Elizabeth (c1845-1942). 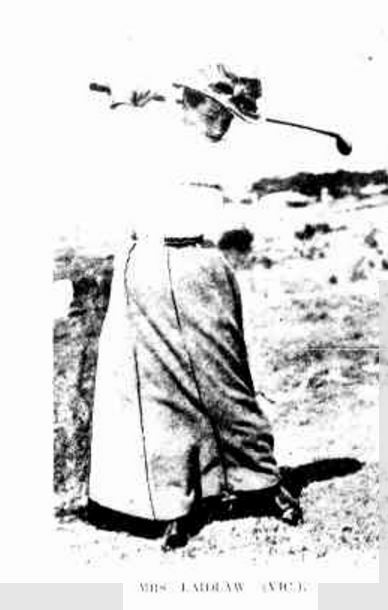 Also known as Elizabeth Dalziel. Elizabeth Cole was seven when she sailed into Hobson’s Bay in December 1852 with her family aboard the Bombay, the same ship my ggg grandparents James Mortimer and Rosanna Buckland arrived on. 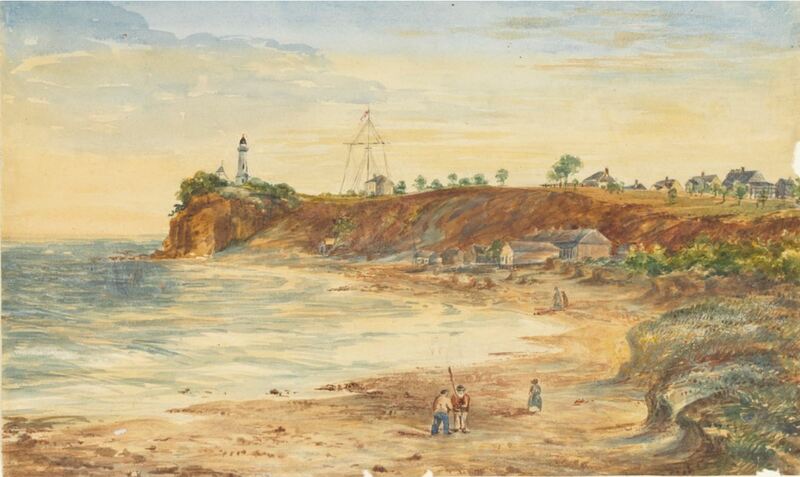 Once in Port Phillip Bay, the ship was placed in quarantine because of a typhus fever outbreak on board. During the 111 day voyage, at least twenty-four of the 706 passengers died from various causes including typhus. 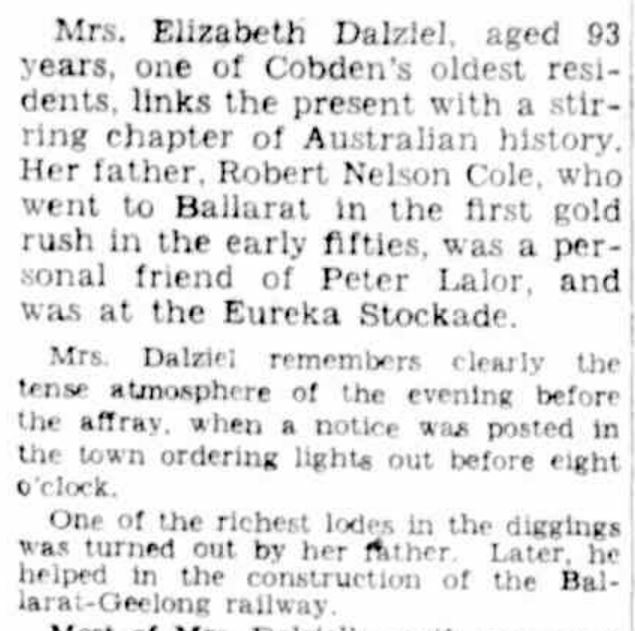 After they disembarked, the family went to the diggings at Ballarat. 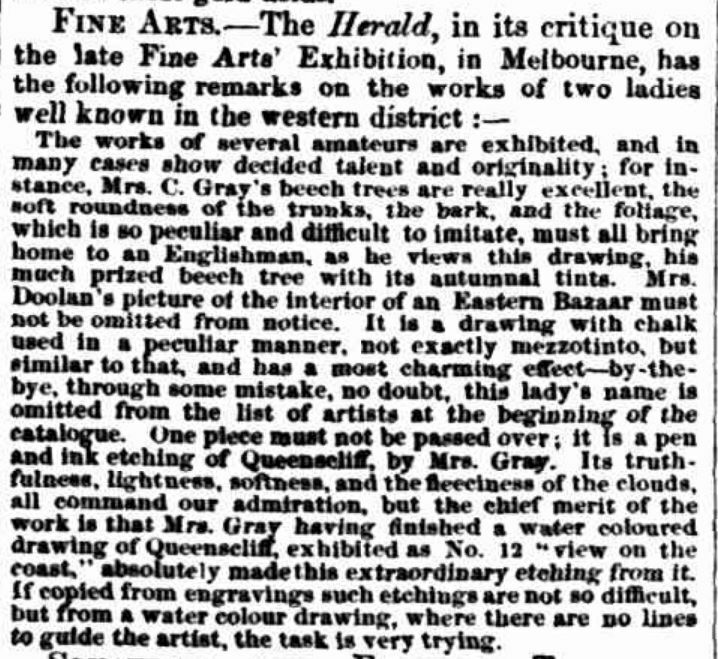 “OLD COBDEN RESIDENT” The Argus (Melbourne, Vic. 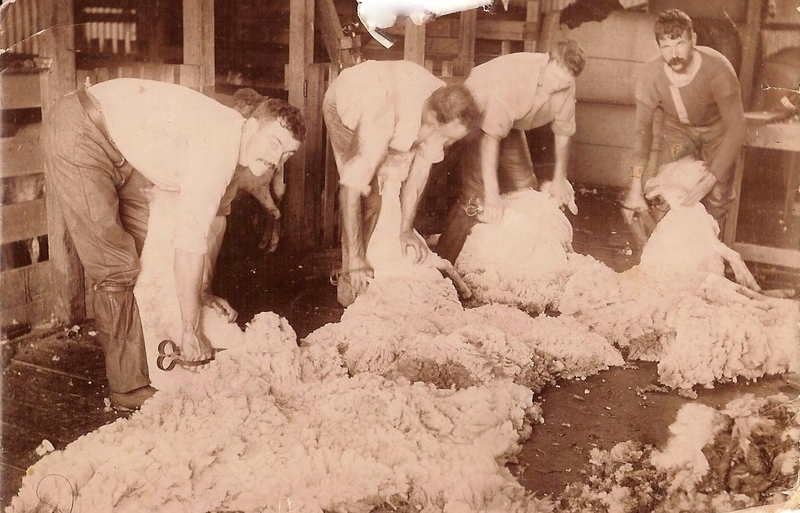 : 1848 – 1957) 12 March 1938: <http://nla.gov.au/nla.news-article11174181&gt;. 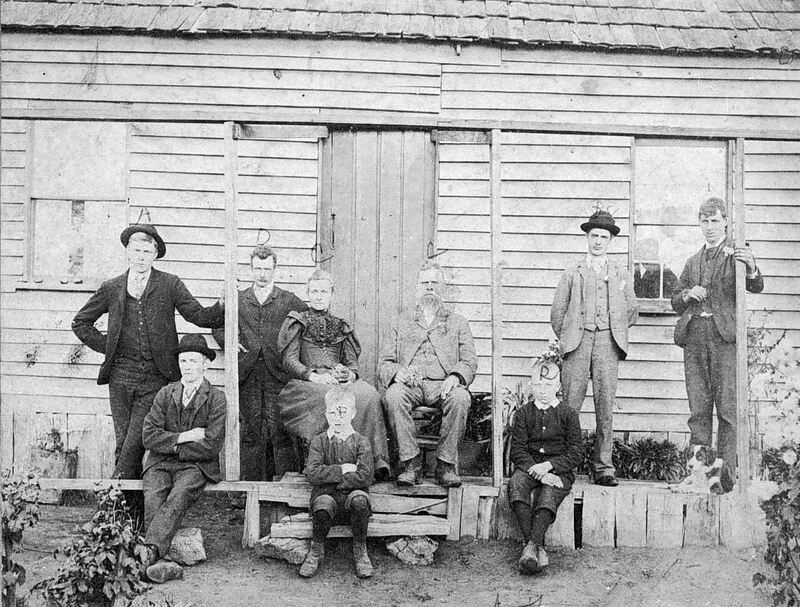 The family then went to Port Fairy and Elizabeth remembers the first bullock team of Walter Manifold and was soon driving bullocks herself and despite being only a teenager, gained a reputation as one of the finest bullock drivers around. 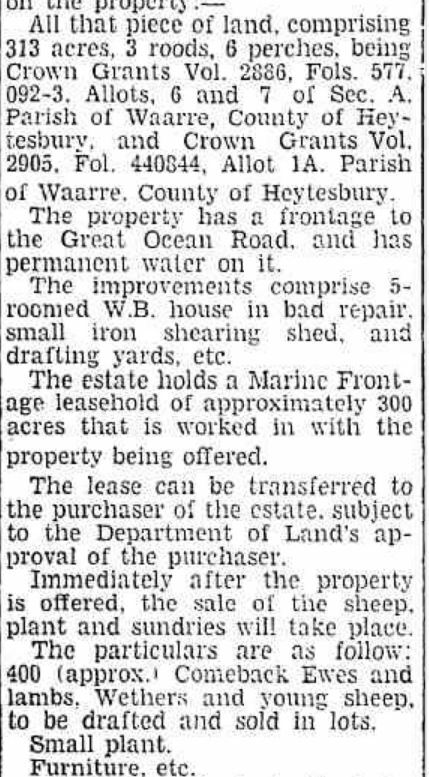 From Port Fairy, her father purchased land at Yambuk. 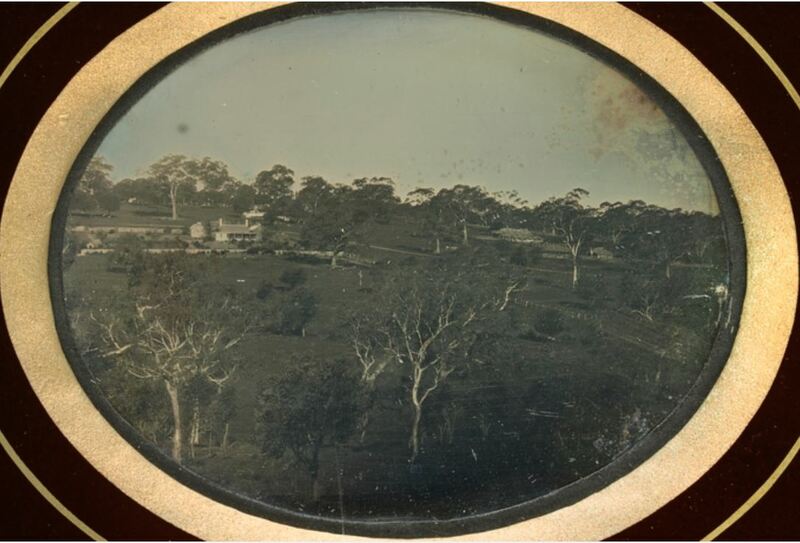 Elizabeth was only seventeen when she married twenty-eight-year-old Alexander Dalziel on 31 July 1862 at Lethbridge where Alexander ran a boot store servicing the large canvas town set up for the men working on the Moorabool viaduct. They then went to Bannockburn before moving to Carpendeit near Cobden in 1885. In 1891, Elizabeth signed the Women’s Suffrage Petition. After Alexander died 1928 aged ninety-four, Elizabeth lived with her granddaughter at Cobden. At the time of her death at age ninety-six, Elizabeth had six sons, three daughters, forty-five grandchildren, sixty-five great-grandchildren and one great-great-grandchild. HAZELDINE, Eliza (1857-1941) Also known as Eliza Lea. 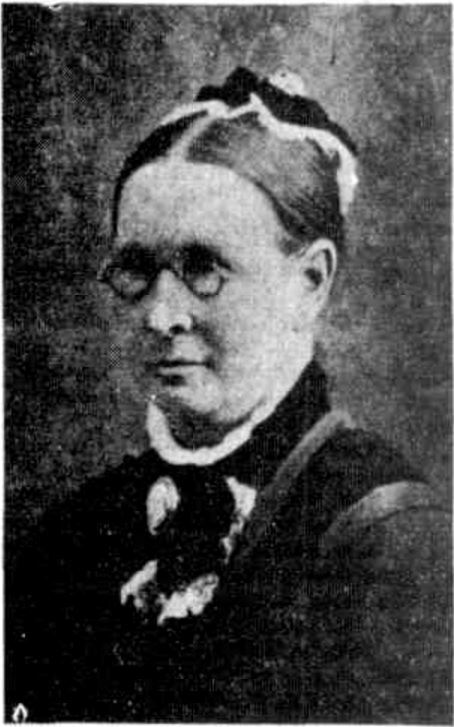 Eliza Hazeldine was born at Portland in 1857 and started her working life as a teacher. 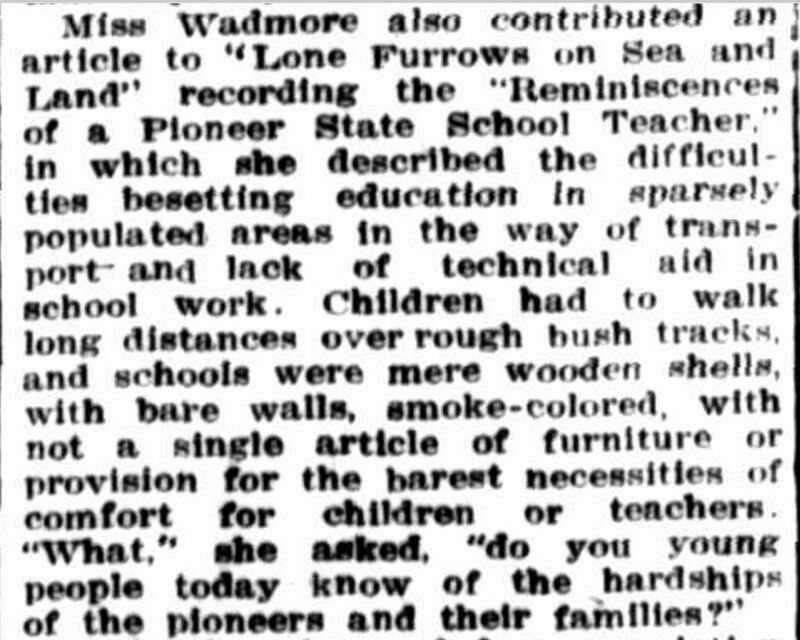 Her first school was Portland North followed by Koroit, Corindhap, Coleraine, Queenscliff and Casterton. 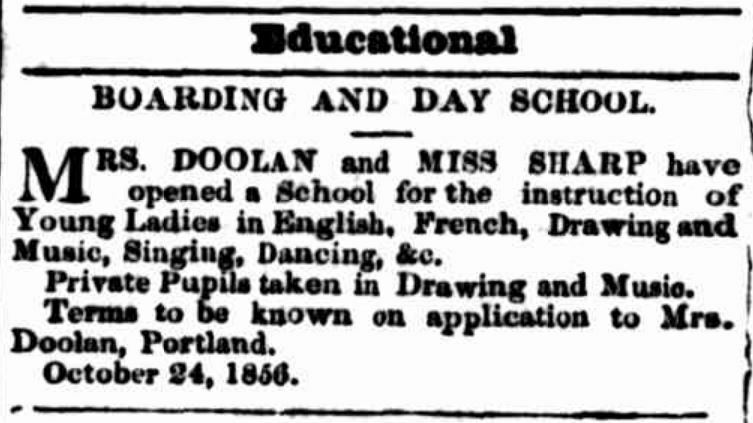 Her teaching career ended in 1890 when she married Job Lea. The couple’s first son was born the following year, the same year Eliza signed the Women’s Suffrage Petition. A second son was born on 22 March 1892. A month later on 22 April 1892, Job died of typhoid fever aged thirty, leaving Eliza with two children under two. She returned to her family in Portland before opening a drapery store at Condah Swamp. 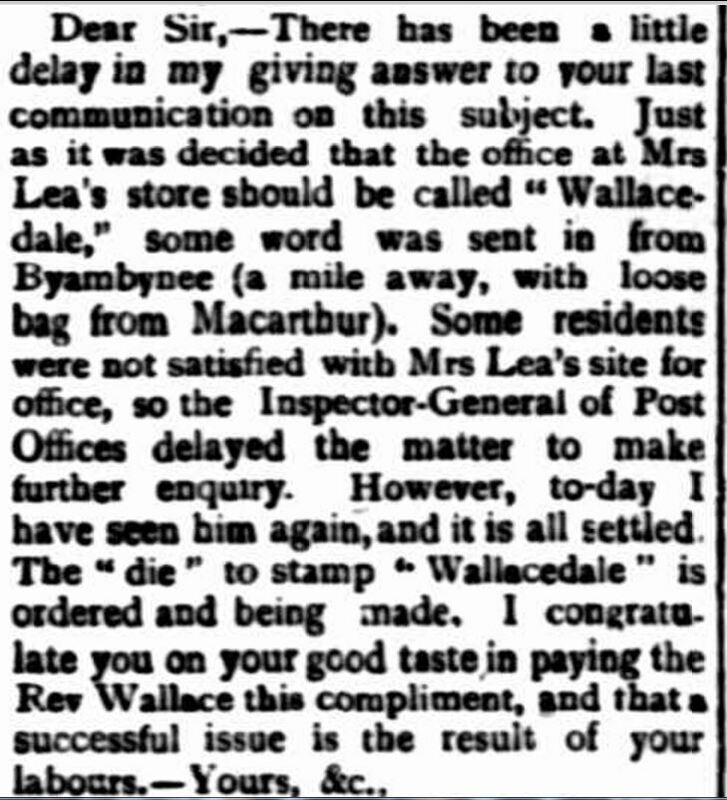 Eliza applied to run the first Post Office in the district and in 1899 her application was approved and the Post Office opened with the name Wallacedale. “Wallacedale.” Portland Guardian (Vic. : 1876 – 1953) 15 February 1899: 3 (EVENING). Web. 6 Mar 2017 <http://nla.gov.au/nla.news-article63675448&gt;. Eliza played piano and organ and taught her boys with Charles showing great talent in acquiring three theory certificates from Trinity College, London. When the boys were older, they helped Eliza in the post office. She was also a generous community member, donating to various causes. In 1902, she started the fundraising for the purchase of a piano for the Wallacedale Hall donating £1. 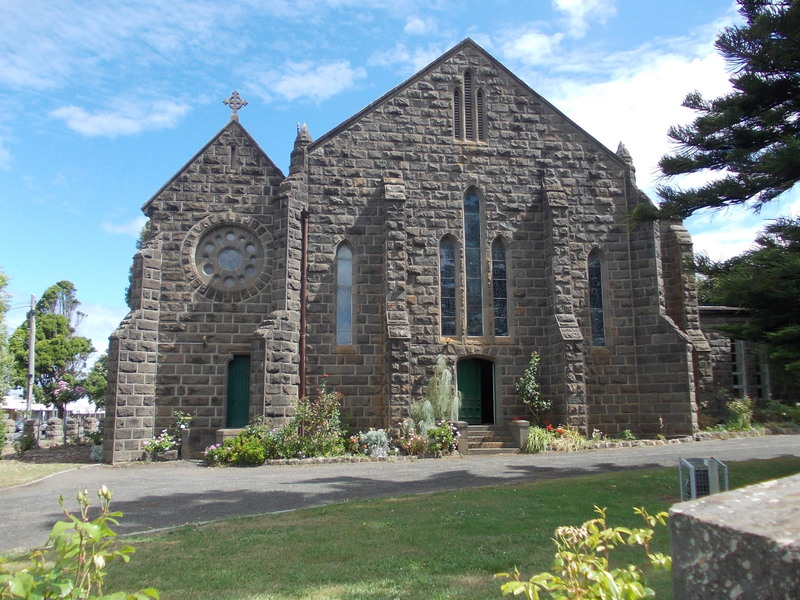 Although she was a devout Methodist, when the Wallacedale Presbyterian Church was built in 1913, Eliza donated the linoleum. War broke in 1914 and on 22 January 1915, son Charles enlisted leaving for Egypt a month later. 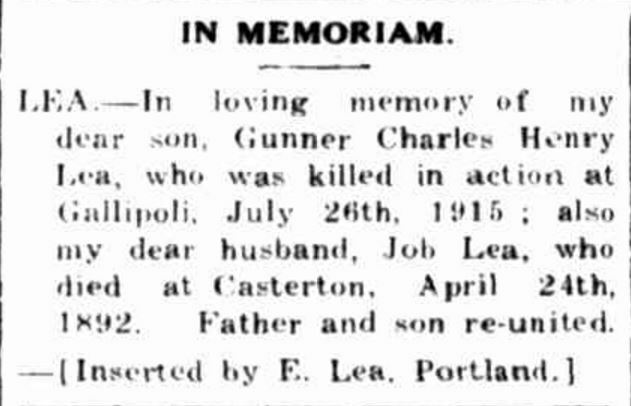 Charles served with the 2nd Field Artillery Brigade and found himself at Gallipoli where he was killed on 26 July 1915, six months after he left Australia. The loss of Charles brought great sorrow for Eliza and she placed an “In Memoriam” notice for Charles and her late husband Job each year until her death. “Family Notices” Portland Guardian (Vic. : 1876 – 1953) 24 July 1933: 2 (EVENING.). Web. 5 Mar 2017 <http://nla.gov.au/nla.news-article64282976&gt;. During the war, Eliza was a great contributor to the Red Cross. In 1919, Eliza returned to Portland where she died in 1941. Charitable to the end, Eliza left £100 to the Portland Hospital. KITTSON, Rebecca (c1827-1929) Also known as Rebecca Lightbody. Rebecca was born at Fermanagh County, Ireland and arrived at Melbourne with her parents James Kittson and Katherine Trotter in 1841 aboard the Westminster. 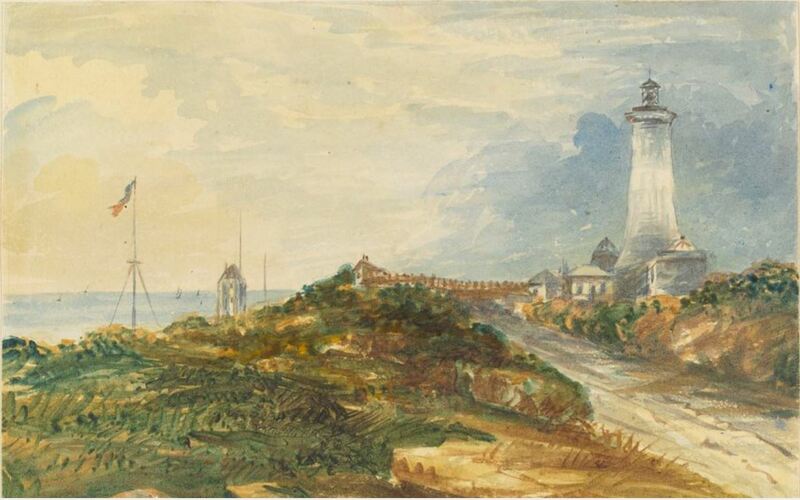 Rebecca remained in Melbourne while her father went ahead to Cape Bridgewater to settle, joining her family in 1842. On 22 January 1852, Rebecca, described as the “fair Lady of the Lake” married Wesleyan minister Reverend William Lightbody at Geelong. Rebecca and William rode on horseback from Bridgewater to Geelong, the location of the nearest minister, married and rode home again. 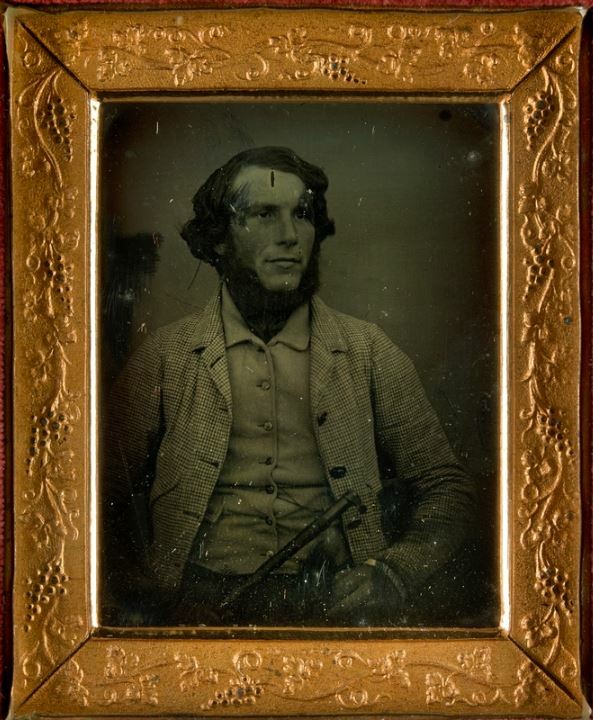 William was the itinerant minister for Port Fairy, Warrnambool and Portland and they spent time at each of the parsonages, raising a family of four sons and two daughters. 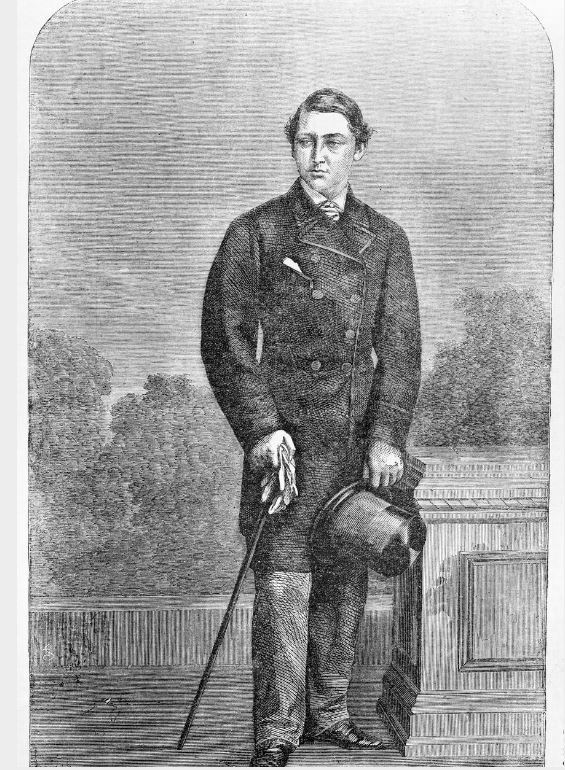 In March 1879, William visited a property he owned at Drik Drik and fell ill there. He made it back as far as Mount Richmond where a doctor was called. He was then transported home and appeared to be on the mend. Having business to do in Portland, he asked his son to drive him into town but William died on the way. On Rebecca’s 100th birthday, Reverend Toi of the Portland Methodist Church presented Rebecca with 100 shillings, one for every year of her life. On her 101st birthday, a celebration was held and Rebecca proved she still had her wits about her. 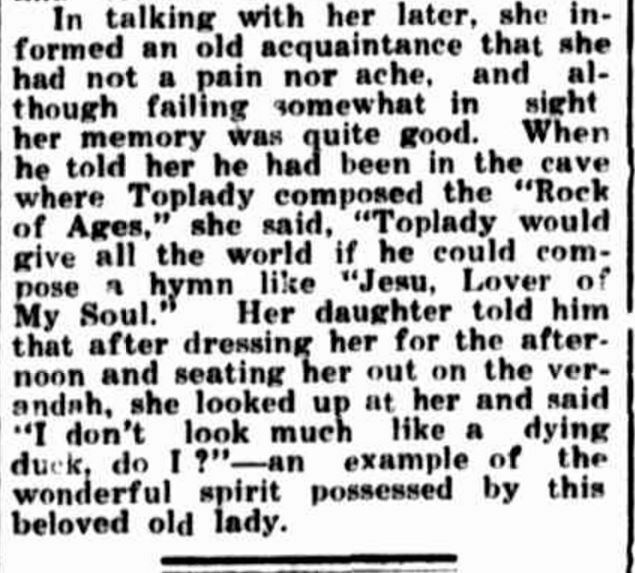 A colonist of eighty-eight years, Rebecca was a month from her 102nd birthday when she died at Portland in 1929. READ, Rachel Forward (1815-1904). Also known as Rachel Hedditch. Rachel Forward Read was born in Dorsetshire, England and married Richard Charlton Hedditch in 1837. The following year they planned to travel to Australia but the ship, The Eden was stuck in the then frozen Thames River and the voyage was delayed. 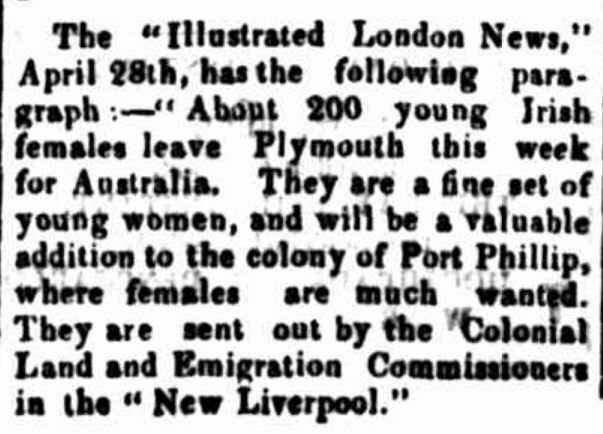 They eventually arrived in Adelaide in 1838. 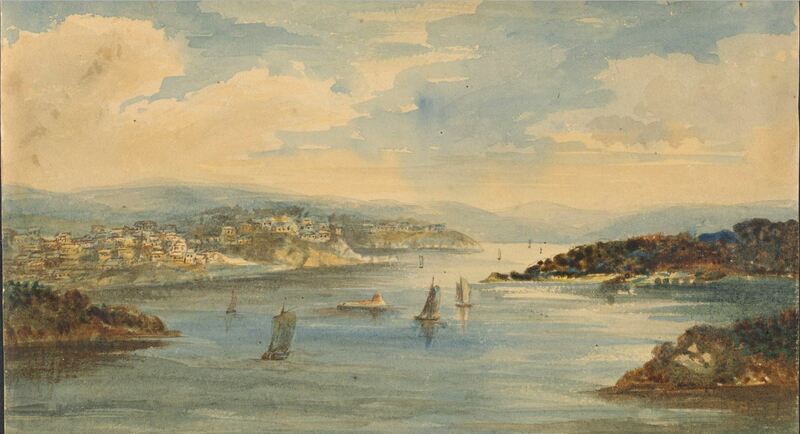 In 1841, they left for Tasmania but heard favourable reports about Portland Bay and the Henty’s settlement so they made their way there, but not before their son Charlton was born. Rebecca and Richard were appointed to run the Portland Church of England school where Rachel taught the infant classes. They then took up a pastoral lease at Bridgewater in 1845 and Rachel opened the first post office there in 1864, operating it for thirty-five years. The Hedditch property was known as Lal Lal Homestead. The Book of Remembrance of the Pioneer Women of the Portland Bay District includes a letter Rachel wrote home to her mother on Christmas Day 1848. She was thirty-three and life was very difficult. It shows the depth of her faith and how she appreciated the isolation of Bridgewater for raising the children away from the bad influences in the town. “…last Sunday after dinner I was considering whether it would be wrong to devote part of the Sabbath in writing to you, and coming to the conclusion that under present circumstances it not, I rose to take a sheet of paper from my portfolio, when I felt quiet unwell, and continued worse, until about ten o’clock, when I gave birth to a little girl – stillborn – an event which I had long dreaded, for my hands were always full. 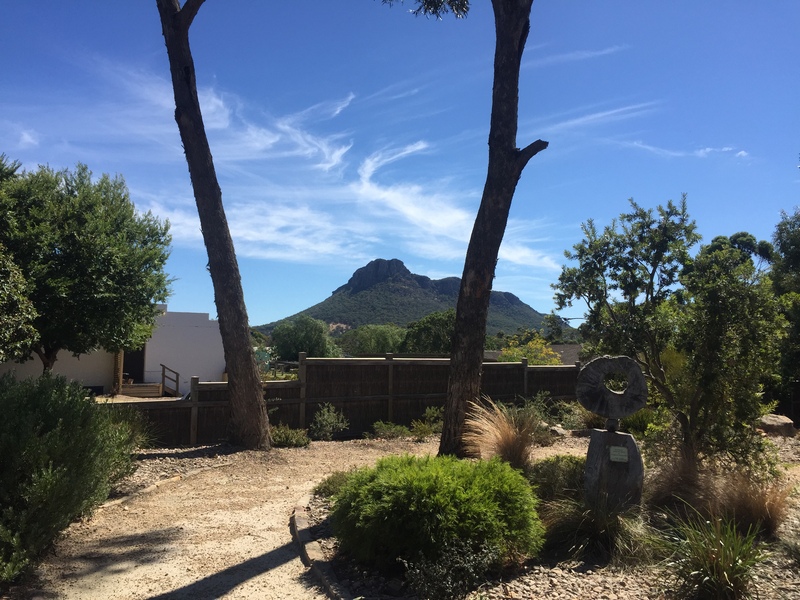 I also expected to suffer from the heat, for it is usually very hot here…but it has been cooler this summer…How apt we are to murmur and despair, forgetting our Heavenly Father does all things for our good. Although I felt amiss – a kind of loss of the infant – yet I cannot help feeling very thankful that it please God to order it as it was. Our fences were all burnt, but we have a garden fenced and a half-acre paddock. We have also a comfortable three-roomed cottage and a kitchen and dairy, besides fowl house and yard,…We have both fat cattle and milking cows for sale, but nobody is inclined to purchase. Butchers will not give more than eight shillings a hundred weight for fat beef and a fine cow with calf at side will not fetch more than £3. There were good milking cows with calves sold by action last week at about 30 shillings per head. Butter is now down to 1 shilling per pound. If things do not get better I do not know what shall become of us all. Our prospects are not worse than that of many others. Indeed, I think we live at less expense than most families here. The troubles did not end. In 1854, daughter Emily died at the age of seven and in 1863, son Charlton died aged twenty-three. Richard died in 1894 and Rachel lived on for a further ten years. She was buried at the Cape Bridgewater Cemetery.